Representative Andria Tupola is on location at Nanakuli High School. 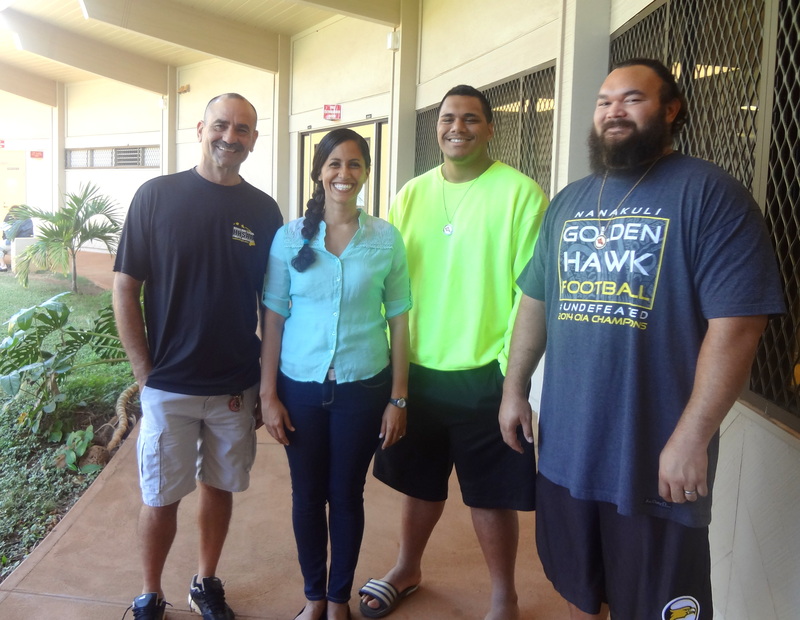 The Representative talks to: Keala Watson, Head Football Coach, Andrew Moody the Athletic Director and Lyle Tuiloma, Team Captain/ and offensive and defensive lineman. Nanakuli High School – 2014 football champions!